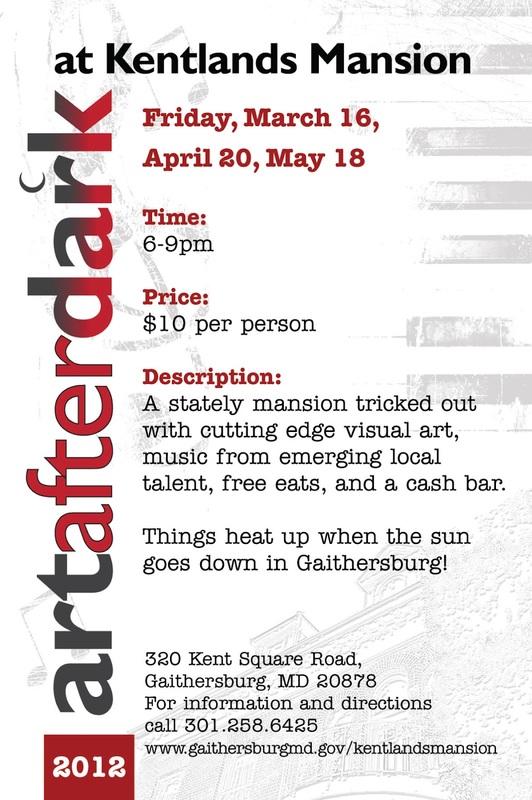 SUPER excited about being featured at the April "Art After Dark" event on April 20th at the Kentlands Mansion. As some of you may know, I have been painting again ... big, abstract canvases. My work tends to have a soft, ethereal quality, and lots of movement and color-play ... but honestly, what I love about abstract painting is seeing what springs forth from the mind, heart and soul. I may also try to bring some of the avant-garde jewelry I have been playing with, too ... we'll see how it goes and if it's ready for the public yet. 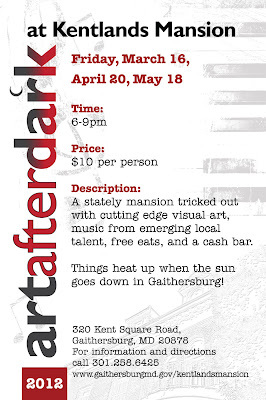 For those in the area, I would so love if you would come on out that evening to visit with me and listen to the music. If the weather is nice, it is incredibly gorgeous to sit on on the porch and enjoy a cocktail.